Advocacy and Protective Services, Inc. is a not-for-profit organization, which advocates for outcomes that promote dignity, respect, and enhanced quality of life for individual persons with developmental disabilities. Serving critical needs, one person at a time. APSI strives to provide guardianship services while promoting self-determination, self-advocacy, and principles of least restrictive services focused on person-centered planning. APSI staff are committed to providing guardianship services and activities in a manner that enhances an individual’s lifestyle and best support individual needs and preferences while protecting the person from harm. APSI provides guardianship service according to the best interest of the individual, which means the course of action that maximizes what is best for the person with consideration of the least intrusive, most normalizing, and least restrictive course of action possible given the needs of the individual. APSI strives to support restoration of rights, and works to assist individuals in the attainment of their rights as appropriate to each individual’s needs and abilities. APSI does not perform direct services such as securing housing, signing leases, transporting, taking medical action, service coordination, and job placement actions. Since 1983, Advocacy & Protective Services, Inc. (APSI) has provided protective services for people with developmental disabilities. APSI helps bring about awareness of people’s needs and desires, especially to service providers. Additionally, APSI helps people make decisions, such as where to live, and assists with informed consent for surgery or other medical treatment. Supreme Court of Ohio enacts new rules to bring uniformity and consistency to Ohio’s adult guardianship practices by providing clear guidance for best practices in adult guardianship cases. 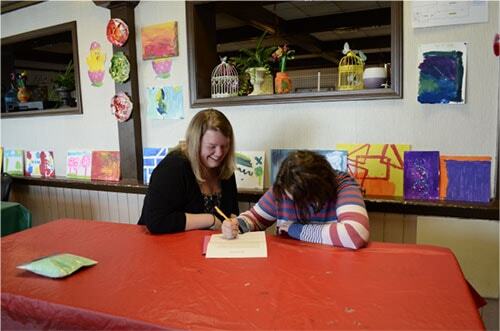 Legislation is passed which eliminates the term “mental retardation” from the names of the State and County boards of Developmental Disabilities. House Bill 403 provides a rescue process for individuals subject to abuse or neglect, reducing the need for guardianship in these situations. APSI provides state-wide training and technical assistance through the Guardianship and Protective Services Training Project (GAPS), funded by the Ohio Developmental Disabilities Planning Council. ODMR/DD requires consolidation of Guardian Services, Ltd. and Sentinel Services, Inc. to reduce administrative costs. Advocacy and Protective Services, Inc. (APSI) was created. Sentinel Services Inc., a non-profit corporation, contracted to provide protective services to individuals living in the community. Guardian Services Ltd., a non-profit corporation, contracted to provide guardianship services to individuals in state institutions. Senate Bill 336 prohibits superintendents of state institutions from providing informed consent for residents. Office of Protective Services and Public Guardianship in the Division of Mental Retardation provides protective services to individuals. Amended House Bill 290 passed requiring the Division of Mental Retardation to develop a statewide system of protective services. Protective services were defined as serving as guardian, trustee or protector. Pilot projects for protective services were operated by the newly developed Office of Protective Services/Public Guardianship within the Division of Mental Retardation. Ohio's Mental Retardation Plan calls for a protective services system for people with mental retardation.